Services - Rupert Health Centre Inc.
Our goal is dedicated to educating our patients in all aspects of health and nutrition. We treat a wide range of conditions such as car accident injuries, work place injuries, back and neck pain, headaches and migraines, joint pain, sports injuries, foot pain and more. We strive to provide excellent health care services for the good of the patient. Chiropractic is a healing discipline firmly grounded in science. Although its main focus is the relationship between the skeleton (particularly the spine) and the nervous system that runs through it, chiropractic is concerned with the care of the entire body. Chiropractors use various diagnostic methods, including x-rays, to discover the state of your health, paying particular attention to your spine and bone structure. Spinal manipulation and other manual adjustments are their primary methods of helping your body heal itself. We utilize a variety of methods to treat our patients. Chiropractic manipulation is safe and effective in treating many joint problems. In addition, we also utilize electrical stimulation, heat and other modalities to help you feel better without medication. The word chiropractic comes from a combination of the Greek words "chiro" and "praktikis," meaning "done by hand." "Treatment by hand" was an accepted form of therapy in ancient Greece. Hippocrates, who is regarded as the founder of medical inquiry, made the first recorded references to spinal manipulation. 1995 marked the 100th anniversary of the evolution of modern chiropractic. In recognition of this milestone, centennial celebrations were held across Canada and throughout the world. Canada Post issued a commemorative stamp in recognition of the centennial of the profession, and to honour its Canadian Founder, Dr. Daniel David Palmer. Kinesiologists specialize in designing exercise programs for patients that need help overcoming chronic injuries and pain. Each session is typically one hour long with a warm up period, stretching, strengthening and postural exercises. Exercise Therapy is also one of the most effective treatment and prevention of chronic low back pain. We provide one-on-one kinesiology and active rehabilitation sessions in our clinic for patients who have suffered a car accident or personal injuries. Patients injured in a motor vehicle accident please provide us with your claim number and your referral from your family doctor. If you do not have a referral, please download our referral form and have your family doctor fill it out and return it to us. We will correspond with your ICBC adjuster on your behalf and we will bill ICBC directly. There are no out of pocket expenses. We provide custom made orthotics for patients. Many conditions such as foot pain, knee pain, back pain, heel spur, and plantar fasciitis can be treated by orthotics. Custom Casted Orthotics are designed to control biomechanical imbalances in the lower extremity, especially the rear foot. When you are running, the pressure on your feet can be three or four times your body weight. Even walking can produce more pressure than the sum of your body weight. The American Podiatric Medical Association says that the average person takes 8,000 to 10,000 steps a day. That adds up to about 115,000 miles in a lifetime or more than four times the circumference of the globe. That is a lot of walking with ill-fitting shoes or painful feet! Orthotics are important in providing the proper correction to our bodies as we walk. Most health care providers and stores will dispense orthotics by foam impressions or scanning technologies. The gold standard in dispensing orthotics is slipper casting. Dr. Kevin Leung and Dr. Jason Cheng use the most accurate casting technique taught to podiatrists only. Casting the feet in either plaster or fibreglass will provide the best fitting orthotics. After the slipper cast is made, the cast is shipped to lab where the technician will make a positive mold of the slipper cast. The thermoplastic is then pressed over the mold to form the orthotics. Final touches include a full length top cover to prevent the orthotic from moving inside the shoes and provide cushioning for the patient. 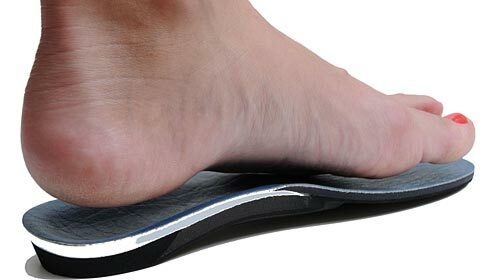 Orthotics made by the foam impressions are generally too low at the medial arch, therefore rendering the orthotics useless. After a careful biomechanical evaluation, Dr. Kevin Leung casts the patient's feet in a dorsiflexed neutral position. The result is a perfect pair of orthotics that the patient will enjoy wearing, but most importantly be fitted correctly. If you have an orthotic made by someone else and would like a professional opinion or evaluation, do not hesitate to contact us. 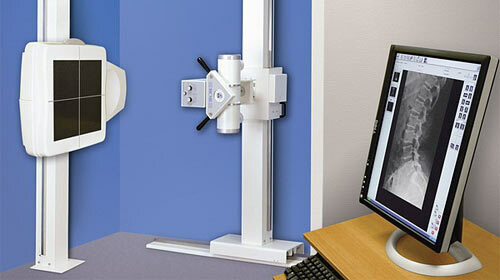 We have a state of the art Digital X-Ray System on site to accurately diagnose your condition. All our x-rays are taken upright. Standing chiropractic x-rays are more accurate than ones taken on an x-ray table. We accept all private insurances for our x-rays and we bill ICBC directly for your x-rays. Low Level Laser Therapy (or LLLT) uses laser and red light to help reduce pain, decrease inflammation, promote new blood vessel growth, increase tissue repair, and promote nerve axon growth and nerve cell regeneration as well as healing fractures. Laser Therapy achieves these healing properties by promoting an increase in energy level in the cell, increase in the Nitric Oxide Pathway and increase in the Lipid Absorption Pathway. What does this all mean? Laser Therapy helps the cells repair faster and is painless. What kind of conditions can Laser Therapy treat? 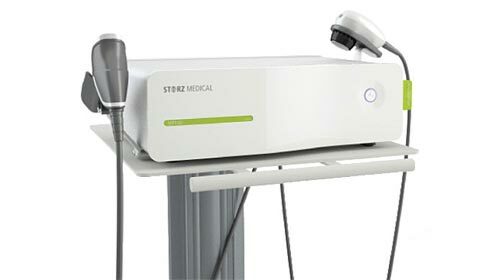 Accelerate healing with Shockwave Therapy - a non-surgical treatment of soft tissue, bone, heel and joint pain. There are no side effects with this non-surgical treatment and it is available at a reasonable cost. Shockwave treatments are non invasive and promote accelerated recovery of injured soft tissue, bone, heel and joint pain. A shockwave is an intense, but very short energy wave traveling faster than the speed of sound. 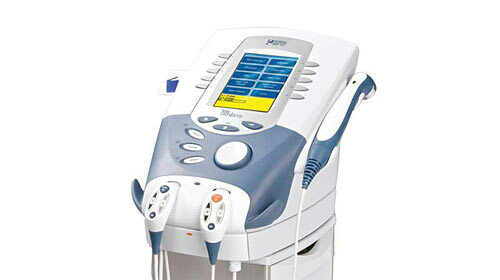 The basic technology involved with extracorporeal shockwave technology has been used for decades on millions of people. Therapy sessions are short, usually 20 to 30 minutes in length, and provide successful relief of chronic pain and restores mobility painlessly. Body Work Massage is an effective approach to pain management. Body Work Massage is effective in treating and providing relief for a wide range of conditions such as migraine headaches, tendonitis, arthritis, fibromyalgia, sports injuries, as well as many other common conditions related to soft tissue. Help in releasing endorphins, the body's natural painkiller. Help in recovery from surgery to control and relieve pain. Can relax tense and tightened muscles. 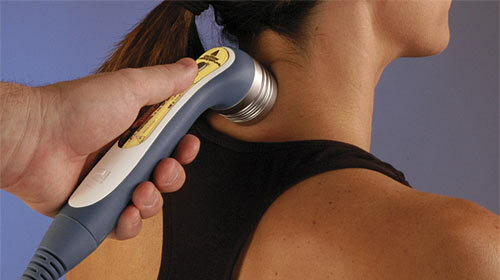 Massage therapists often render massage to treat low-back pain and neck pain. Insurance Info: MSP Premium Assistance $42,000 or below have 10 visits per year, co-pay required. ICBC, WCB and VAC (Veterans Affairs Canada) accepted, and most extended health insurance accepted.